I had to get this post out there super speedily this morning so excuse any spelling mistakes haha! 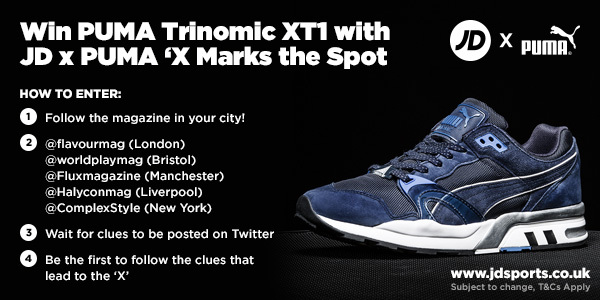 Some of you may know, but others may not, there's a competition being held by JD Sports and PUMA where you could bag yourself a pair of their new release trainers! (Exclusive to JD Sports). If you're in London then today's the day! If you're in the area then make sure you're following @flavourmag for clues - x marks the spot! For more info on the competition read this and find out how to claim your prize if you win.